You’ve found the new Chrysler, Dodge, Jeep, RAM, or pre-owned car, of your dreams. Now you need to finance it. You’re not alone. 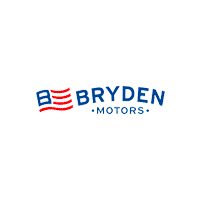 Rest assured, the Bryden Motors Finance Department, serving Belvidere, Rockford, Janesville and Madison is here to help. Regardless of whether you’re looking to finance a new or pre-owned vehicle, we promise to fight on your behalf, so that you get the best terms possible. The Bryden Motors Finance Department accommodates all of our clients’ circumstances. That means everyone gets 100-percent of our efforts – no exceptions. Willing to go the extra mile, we do everything from negotiating with our contacts to ensuring low interest to buyers with existing loans to refinancing when necessary. To learn more about the many options available to you via the Bryden Motors Finance Department, as you embark on this exciting investment that promises many paybacks (i.e., safety, fun driving experience, contemporary good looks), contact us today. Or, just swing by. You’ll find us conveniently located 548 Broad St, Beloit, WI.